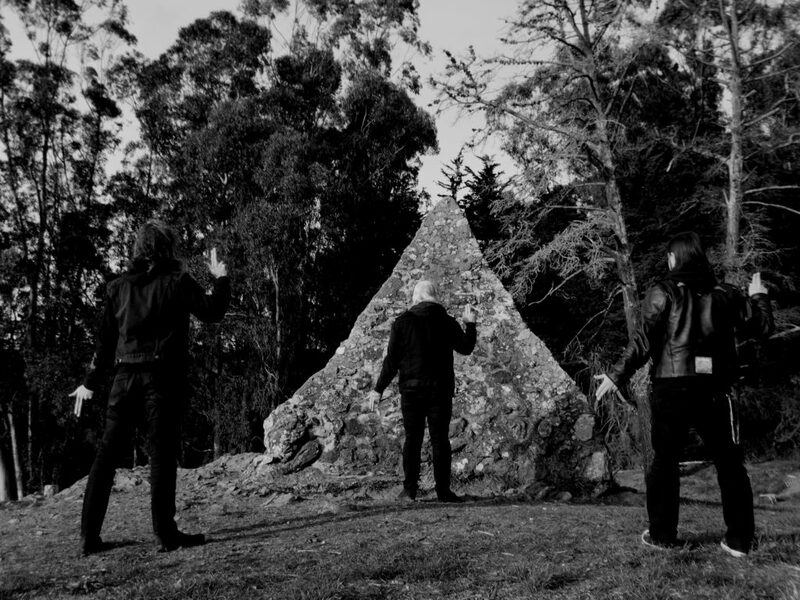 Bay Area death metal trio, ULTHAR — featuring within its ranks Shelby Lermo (Vastum, Extremity), Justin Ennis (Void Omnia, ex-Mutilation Rites, ex-Tombs), and Steve Peacock (Mastery, Pandiscordian Necrogenesis, Pale Chalice) — will unleash their debut full-length, Cosmovore, via 20 Buck Spin this Friday. In celebration of its release, Gimme Radio has crowned Cosmovore Album Of The Month and will be hosting an exclusive world premiere of the record in its entirety, Thursday, November 8th at 6:00pm PST / 9:00pm EST. Additionally, ULTHAR will presenting its own radio show for two hours on Wednesday, November 14th at 2:00pm PST / 5:00pm EST (and repeating Monday, November 19th at 8:00am PST / 11:00am EST and Thursday, November 22nd at 6:00pm PST / 9:00pm EST). For further info, visit the Gimme Radio website at gimmeradio.com. Cosmovore will be released on CD, LP, cassette, and all digital formats via 20 Buck Spin on November 9th. For physical preorders, go to THIS LOCATION. For digital orders go HERE. Cosmovore was engineered, recorded, and mixed by Greg Wilkinson (Brainoil, Deathgrave, Vastum, Noothgrush) at Earhammer Studios in Oakland, California, mastered by Justin Weis at Trackworx, and unleashes the feral urgency of dizzying, Absu-like black metal with the bludgeoning ferocity of classic death metal. Thematically heavy on weird, supernatural horror and a bizarre Rudimentary Peni surrealism, ULTHAR is a difficult to classify spectral entity. Over the course of Cosmovore’s forty-minute run time speeds careen forward at primarily unrelenting velocity, the opening title track instantly battering with primal persistence. The album’s middle section, a blinding storm of ghastly black dread, leads into the thirteen-plus-minute closing epic “Dunwich Whore” where the ULTHAR universe becomes all-consuming with proggy synth bookends, vertiginous tempo variation, grinding technical violence, and thrashed madness. 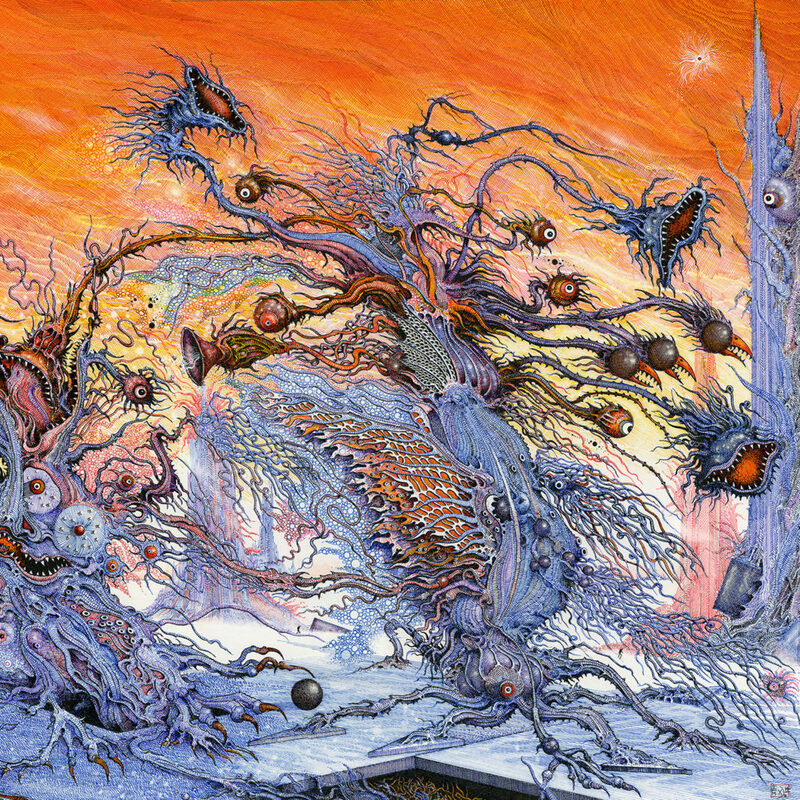 Tying it all together is the gripping cover art of famed UK illustrator Ian Miller, known for his work with the Warhammer games, Lovecraft books, Ralph Bakshi films, and more.Yet another stellar debut album released under the 20 Buck Spin banner, ULTHAR’s Cosmovore stands as the monstrous opening salvo of a band only beginning to wage war. Fans of Absu, Immortal, early Atrocity, early Pestilence, Demilich, Morbid Angel, Gorguts, and labelmates Tomb Mold should tune in to ULTHAR’s deft execution.